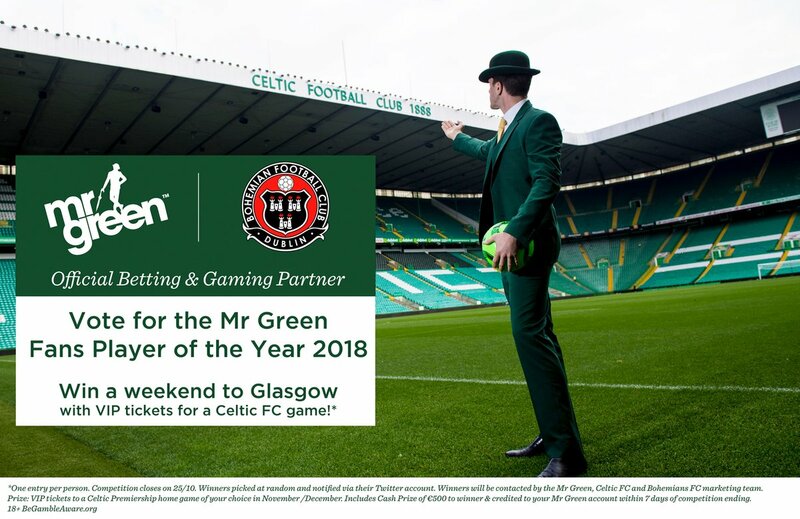 Our main sponsors and betting partners Mr Green are asking fans to vote for the Mr Green Bohemians Player of the Year. Voting takes place on Mr Green’s twitter account to be in with a chance of winning a trip to Glasgow and VIP tickets to a Celtic game. Mr Green has drawn up a four-man shortlist of Darragh Leahy, Derek Pender, Shane Supple and Keith Ward.